While New Yorkers are skeptical by nature, At The Illusionist’s Table, a new immersive experience at The McKittrick Hotel (530 West 27th Street, NYC), home of Sleep No More, will challenge your perceptions of reality. Running for only 12 weeks, starting November 1, the show offers an unforgettable evening of intimate magic and dining direct from Scotland, hosted by enigmatic illusionist Scott Silven. Following a string of sell-out runs around the world, At The Illusionist’s Table makes its New York City premiere this fall at The McKittrick Hotel’s Scottish dining room, The Heath. During the performance, Silven hosts an evening of culinary delight interwoven with illusion, mentalism and storytelling. 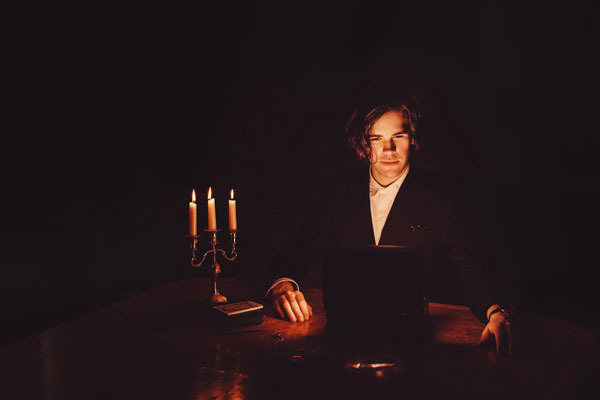 Set up as an interactive candlelit dinner party, the illusionist engages guests over a delicious three course meal as candles flicker, whisky pours and conversation stirs throughout a magical evening. This fascinating show will shock, amaze and challenge the boundaries of reality as his mentalist powers take over, creating a unique experience not found anywhere else in the city. As the remarkable sensorial evening progresses, mysteries begin to unravel, building a crescendo through the final surprise act that will leave you astounded. Tickets for At The Illusionist’s Table range from $175 per person on weeknights to $210 on weekends and include a three-course dinner specially crafted by the hotel’s Executive Chef Pascal Leseac’h. Visit mckittrickhotel.com for our full schedule and tickets.